Going through cancer is not an easy battle, which is why those who are fighting this illness often look to a trusted and caring team for treatment. 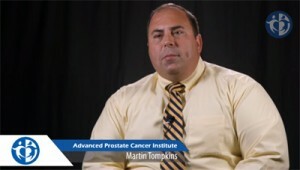 When patients go to the Advanced Prostate Cancer Institute for compassionate and innovative care, they often meet with Martin Tompkins first. Martin Tompkins gives the warm welcome each patient receives upon entering the Advanced Prostate Cancer Institute. As location manager of the Institute, Martin Tompkins is a jack-of-all-trades and works with each patient to help ease his concerns and educate him on the treatment process. During the initial consultation, Martin Tompkins will show each patient around the facility. He will explain the importance of state of the art equipment and how it will be used to treat the condition. Martin will then show each patient a video of exactly what will happen during radiation treatments. His goal is to educate each patient and provide a full understanding of what happens during the process. This helps calm the patients’ fears and reassures him that he is in a trusted facility. Martin Tompkins’ goal is to provide each patient and his family with guidance and a sense of confidence in the Advanced Prostate Cancer Institute. He is always available to answer any questions and assist patients throughout the treatment. 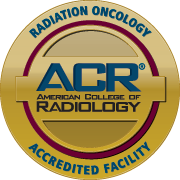 In addition to holding the position of location manager, Martin Tompkins is also a registered radiation therapist. He can help deliver treatments when needed, but most importantly he uses that knowledge when meeting with patients. Martin also fills in at the reception desk when needed to take any patient’s questions or referrals. Martin Tompkins is committed to supporting patients as they face one of the toughest challenges in their life. His compassion and knowledge shine as he offers top-notch care. To learn more about the Advanced Prostate Cancer Institute or to schedule an appointment, visit their website today.